In the years after the Great War, Edith Wharton wondered about her future reputation. 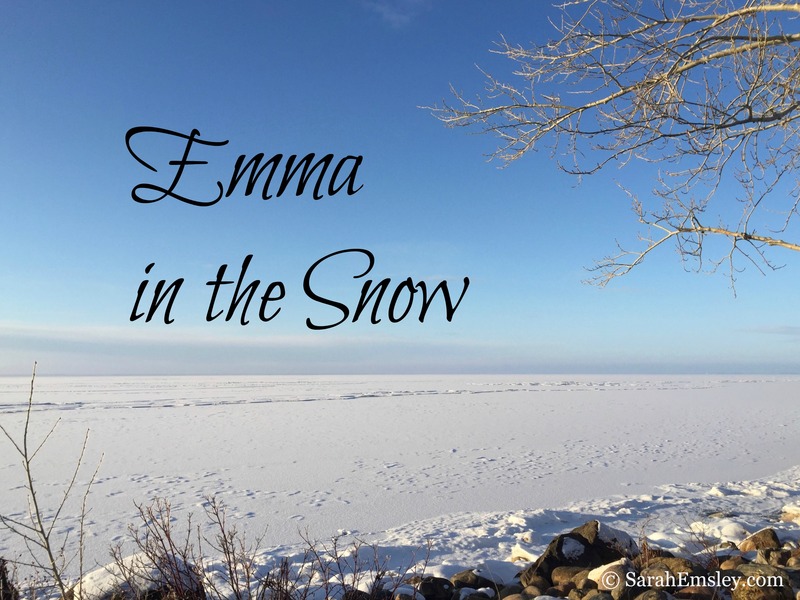 In my last post, I wrote about her feeling that her work was “either nothing or more than they know.” She wondered if she would begin to be seen as outdated, and if her approach to the morals and manners of her society would be interpreted as moralistic. In honour of her 150th birthday this year, I’m planning to write more about Wharton, her fiction, and her contemporaries, and today I’m going to look at connections between Wharton and the best-selling novelist Mary Augusta Ward, known in her time as Mrs. Humphry Ward. Ward was well-known, and often disliked, for writing to offer overt instruction as well as entertainment for her readers. Lewis had written to tell Wharton how much he admired her work, even though the Pulitzer jury’s choice of his own novel Main Street had been overruled by the trustees of Columbia University. The trustees had chosen The Age of Innocence instead, as worthy of the prize awarded “for the American novel which shall best present the wholesome atmosphere of American life and the highest standard of American manners and manhood.” Wharton told Lewis that “when I discovered that I was being rewarded — by one of our leading Universities — for uplifting American morals, I confess I did despair.” Although she accepted the prize, she was uneasy about being designated the upholder of wholesome American virtues. She was reassured, she said, by Lewis’s letter, and she concluded by telling him that “if two or three of us are gathered together, I believe we can still save fiction in America. Both Edith Wharton and Mary Ward were best-selling novelists whose writing was strongly influenced by tradition, and both preferred to argue for women’s capabilities more than for their rights. Henry James was friends with both of them — despite being suspicious or envious of their popular successes — and the two women were on friendly terms with each other, although they were never very close. In the summer of 1914, Wharton rented Ward’s country house Stocks, near Tring in Buckinghamshire. She spent very little time there because of the outbreak of war, but before she returned home to Paris, she stayed for a while in Ward’s house in London, in Grosvenor Place, while the Ward family returned to Stocks. Wharton’s reputation as an important American novelist is secure, but Mary Ward is a contradictory character, and history is not sure what to do with her. Ward can’t be ignored entirely — she was one of the best-selling novelists, and one of the most energetic philanthropists, of the nineteenth century. Yet there has been no dramatic resurgence of interest in her, even in the decades since the publication of John Sutherland’s excellent biography, Mrs Humphry Ward: Eminent Victorian, Pre-eminent Edwardian (1990).Reading Ward can be at times delightful and entertaining, at other times excessively didactic and irritating. Sometimes, however, difficult people are worth knowing. Both women adopt a conventional pose, but nevertheless, the similarity is striking. When the last new play at Wallack’s was discussed, or my mother tentatively alluded to the last new novel by the author of Robert Elsmere (it was her theory that, as long as the hostess was present at a man’s dinner, she should keep the talk at the highest level), Delane’s remarks were no more penetrating than his neighbours’ — and he was almost sure not to have read the novel. Wharton avoids referring to Ward by name, but the reference to Robert Elsmere would have been easily recognizable to her readers, if not to her characters. As Sutherland says in his biography, Robert Elsmere was probably the best-selling novel of the nineteenth century. If Mary Ward was the Dan Brown or the J.K. Rowling of her day, why don’t we know more about her now? One of the reasons has to be that popular novels come and go, but another reason is that Ward herself is not seen as likeable. Even in her own time, she had a reputation as a self-righteous, moralistic novelist, and the phrase “Virtue is its Humphry Ward” was coined by a member of the Queen’s Acre set, a group of friends — many of them also Wharton’s friends — who often gathered at the writer Howard Sturgis’s country house in Windsor, Berkshire. 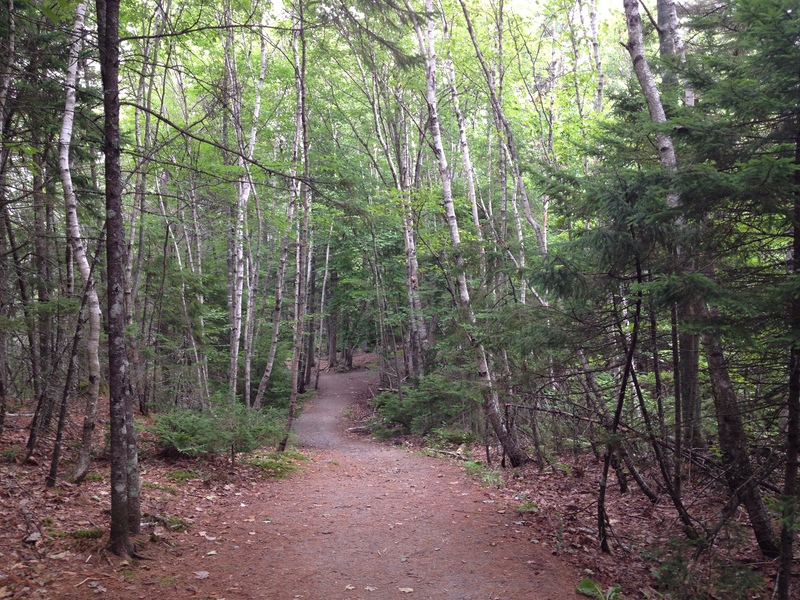 In “The Spark,” as the narrator’s mother prepares to withdraw from the dinner and leave the men to their punch, one of the guests says, “Abandoning us to go back to Mr. Elsmere — we shall be jealous of the gentleman!” If the narrator’s mother is reading Ward herself, however, it is not Robert Elsmere, but the “new novel,” which could be any of the five Ward published during the 1890’s: The History of David Grieve (1892), Marcella (1894), The Story of Bessie Costrell (1895), Sir George Tressady (1896), or Helbeck of Bannisdale (1898). The gentlemen whose lives were defined by their experience in the ’Sixties are not up to date on the literature of the ’Nineties, and Wharton, writing in the 1920’s, is gently mocking both the misunderstood reference to Robert Elsmere, and the intellectual pretensions of a woman who sees Mary Ward’s moralistic novels as the height of literary achievement. By 1924, when “The Spark” appeared in Old New York, Mary Ward was out of date and laughable. She was one of those popular writers the world stopped reading as soon as she died, which was in 1920, at the age of 70. In addition to being popular, she was earnest in her desire to change the morality and even the religion of her readers. Robert Elsmere is a tale of religious controversy in which the marriage between the Church of England clergyman and his devout wife Catherine is strained when Elsmere becomes convinced that the new morality is to be found in a religion that accepts Jesus as a moral teacher, but denies the resurrection. Ward dramatized the shattering of traditional belief in a novel of ideas that was accessible to a large audience, and her nineteenth-century readers were fascinated by her unorthodox approach. 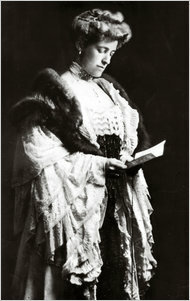 Although she was unconventional in her ideas about religion, Ward was self-righteously conventional in her ideas about politics, and in the early part of the twentieth century her literary reputation suffered as she began to resist and then to denounce the campaign for women’s suffrage. In 1908 she agreed to become the first president of the Anti-Suffrage League, and she edited the Anti-Suffrage Review and wrote several articles on the subject. Although Tolstoy had described her as “the greatest living English writer,” and many of her contemporaries had seen her as George Eliot’s natural successor, Ward didn’t change with the times in a new century, and was often mocked for her old-fashioned ideas and morality. Max Beerbohm, for example, nicknamed her “Ma Hump,” and caricatured her as standing in the shadow of her Uncle Matthew Arnold. She certainly did live in the shadows of her famous uncle and of her famous grandfather, Thomas Arnold. 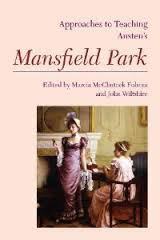 After she published her first novel in 1884, Matthew Arnold said that “No Arnold can write a novel: if they could, I should have done it” — thereby slighting both Mary Ward and his brother William, who had published a novel thirty years previously. Like Wharton, Ward was something of a moralist and something of an iconoclast. Both women were powerful and energetic in their personal and professional lives, both were far more active and lively than their husbands, and both took charge of and ran large volunteer organizations — Ward on behalf of London’s working poor, Wharton on behalf of war-time refugees. In fact, Mary Ward’s legacy as an organizer of charities is in much better shape right now than her literary reputation. In 1890, Ward founded the Passmore Edwards Settlement, later renamed Mary Ward House, in London. The settlement seems to have been partly inspired by the more or less Unitarian community founded by her character Robert Elsmere. It offered play centres for children and fully-equipped classrooms for children with disabilities — both the first of their kind in London — and hosted lectures, concerts, and meetings of various clubs. The Mary Ward Centre in Bloomsbury is still an adult education centre. 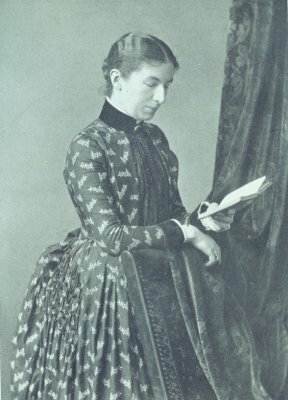 Ward was also instrumental in the founding of Somerville College and was supportive of education for women, despite her participation in the Anti-Suffrage League. Wharton’s comparison of herself with Mary Ward, as perhaps “the Mrs. Humphry Ward of the Western Hemisphere,” is a suggestive one. It raises the question of how the novelist of manners can write about the values of the past and still be taken seriously in the present and into the future, it reminds us that novels about morals always risk moralizing, and it points to tensions having to do with the countries about which one moralizes. The quest “to save fiction in America” is both lighthearted and serious — Wharton recognizes that part of the problem of Ward’s reputation is that she was almost wholly serious. If Wharton was trying to save fiction in America, Ward had tried to save fiction (not to mention religion and education) in England, but the ethical goal of “saving fiction” is a problematic one, which Wharton realized, even if Ward did not see these problems as clearly. 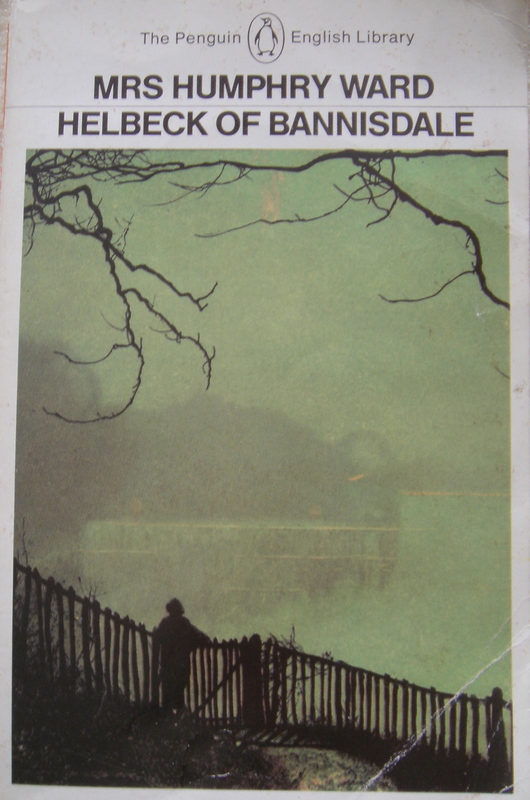 A number of Ward’s novels are well worth reading — Helbeck of Bannisdale in particular is reminiscent of George Eliot’s novels in its examination of religious convictions and controversy, Marcella explores the question of women’s suffrage, and despite its heavily didactic tone, Robert Elsmere is a fascinating story about a man struggling with his conscience. Helbeck of Bannisdale, Marcella, and Robert Elsmere are available from Project Gutenberg. Ashton, Rosemary. “Doubting Clerics: From James Anthony Froude to Robert Elsmere via George Eliot.” The Critical Spirit and the Will to Believe, ed. David Jasper and T.R. Wright. New York: St. Martin’s, 1989. Emsley, Sarah. “The Reputation of Mary Augusta Arnold (Mrs. Humphry) Ward.” Nineteenth-Century Feminisms 7 (2003): 53-64. Gates, Barbara T. “Century’s End: The Coming Universal Wish Not to Live.” Chapter 8 in Victorian Suicide: Mad Crimes and Sad Histories. Princeton: Princeton University Press, 1988. Lee, Hermione. Edith Wharton. London: Chatto & Windus, 2007. Lewis, R.W.B. 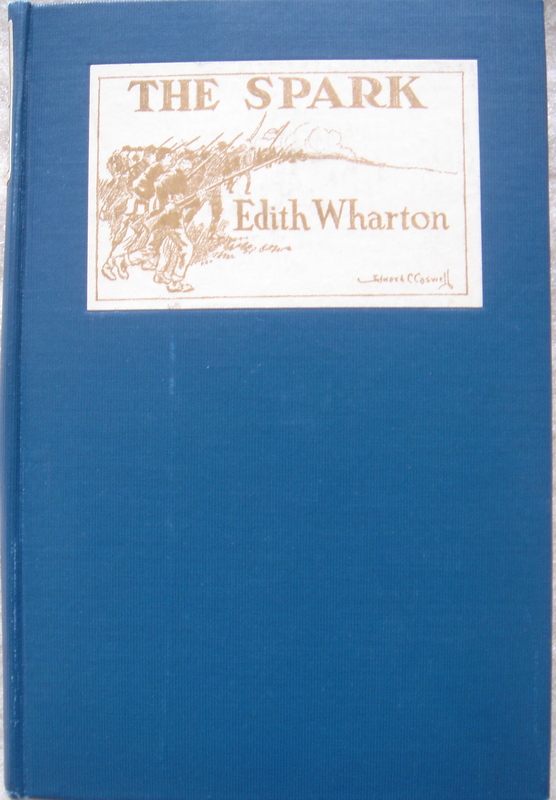 Edith Wharton: A Biography. London: Vintage, 1993. Lewis, R.W.B. and Nancy Lewis. The Letters of Edith Wharton. New York: Macmillan, 1988. Sutherland, John. Mrs Humphry Ward: Eminent Victorian, Pre-Eminent Edwardian. Oxford: Clarendon, 1990. Thompson, Nicola Diane. “Responding to the Woman Questions: Rereading Noncanonical Victorian Women Novelists.” Victorian Women Writers and the Woman Question. Ed. Nicola Diane Thompson. Cambridge, Cambridge University Press, 1999. Ward, Mary. Helbeck of Bannisdale. 1898. London: Penguin, 1983. —. Marcella. 1894. Ed. Beth Sutton-Ramspeck and Nicole B. Meller. Peterborough, ON: Broadview, 2002. —. Robert Elsmere. London: Smith, Elder, 1888. Wharton, Edith. “The Spark.” Old New York. 1924. New York: Scribner, 1995. I just had to tell you that, although I’ve never read anything by either Wharton or Humphrey Ward, I was thoroughly intrigued by this post and will doubtless come back to it when I do get around to reading Wharton. Thanks — and I’d be interested to hear what you think on first reading Wharton. This is really interesting. David Lodge writes about HG Wells feeling the same way in his fictionalized biography of Wells called A Man of Parts. I wonder if he was using Wharton’s views and applying them to Wells or whether there was this feeling among all those writers at the time. Thanks, Monique. That’s a good question, and I don’t know the answer, but I expect that it might have been a common feeling at the time. I enjoyed your review of A Man of Parts and am looking forward to reading the book.